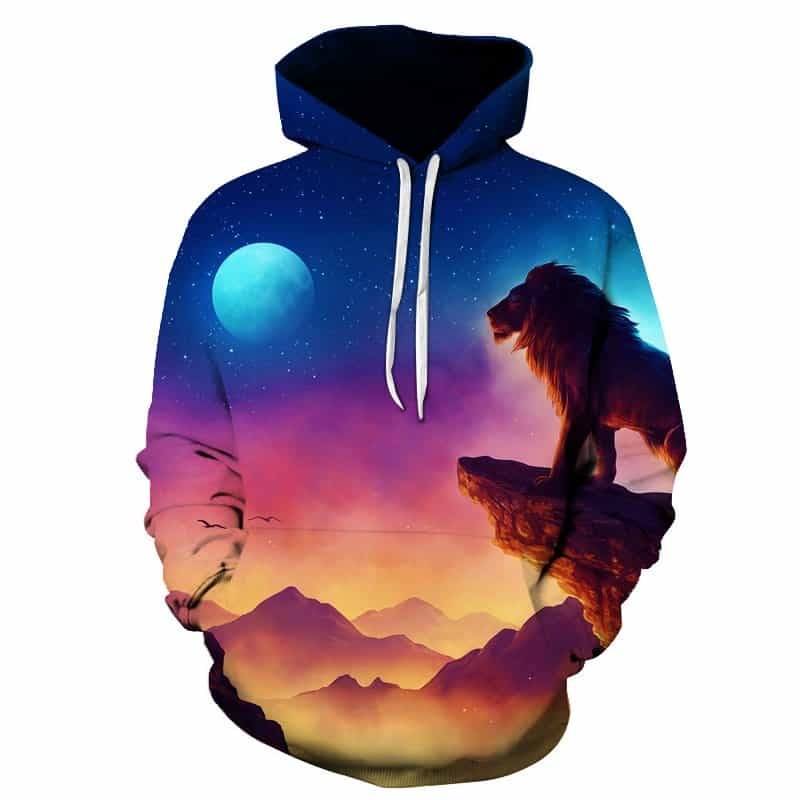 A really cool Lion King Hoodie and a best seller of ours. 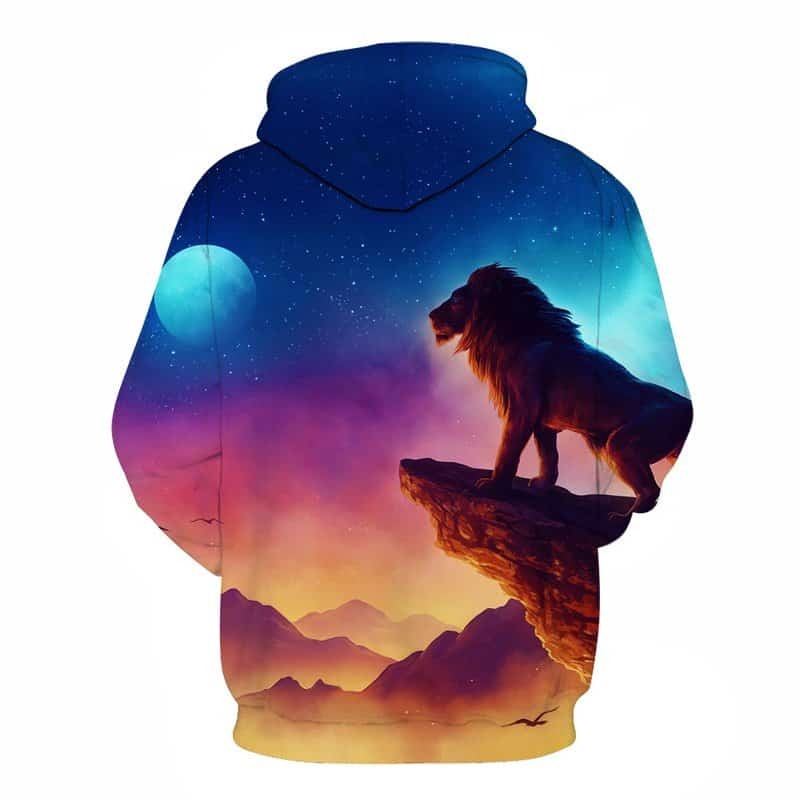 Featuring a majestic lion king overlooking his kingdom. The purple orange sunset in the background really accentuates the beauty of this scene. The hoodie is comfortable to wear, looks fashionable and is wearable anywhere. It was designed for both male and female.